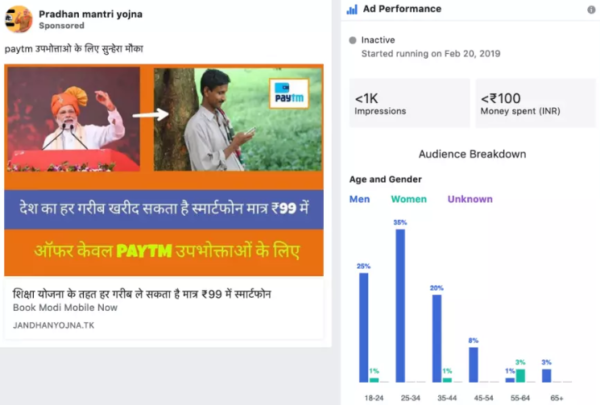 Recently some fraud publishers of Facebook ads in India were using the name and the image of India’s Prime Minister Narendra Modi to scam the needy people. The advertisement claims people who can’t afford smartphones can purchase it at the lowest price of Rs. 99. A non-existent Prime Minister initiative. A non published and not verified Facebook page named as “Pradhan Mantri Yojna” (Prime Minister Scheme). 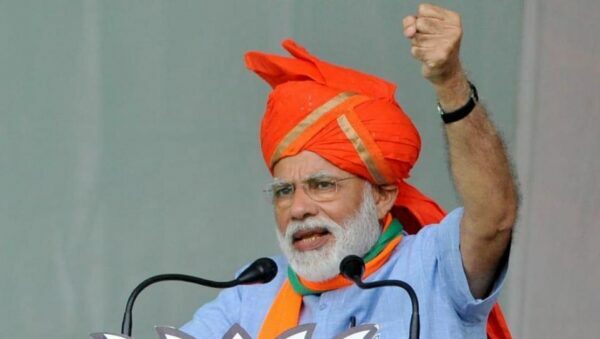 Earlier this month they ran 570 advertisements on a span of five days, telling people that Mr Modi wants every poor person to own a smartphone if they can’t afford at just Rs 99 which needs to be paid through Paytm to enhance the initiative of digital India. No such initiative has been taken by the ruling government neither does it exist. The site linked in the ads seemed to have taken down uses a free domain – .tkdomain which is often used to scam people by the ad frauds. ‘Jan Dhan’ a government scheme, another unpublished page which aims to provide banking access to the poor made fraudulent claims about Modi providing smartphones to the poor people at 99. The page ran approx 230 ads between Feb 8th – 9th. Few scammers don’t even have the knowledge to hide their names. One of the similar pages running the ads called cheap phones redirects to a site named as ‘Modi Mobile’ and when you check out for the payment, you are directed to paytm a person named Surajit Singh payee account open ups. The page is still active and runs the ad. All these advertisements are now visible in Facebook’s Ad library. It is a searchable engine of archive advertisements on the social media platform that are related to the political issue or national importance. 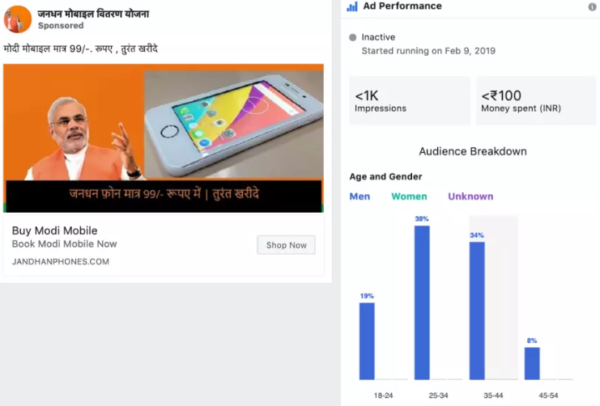 The Ad library has recently been launched in India as part of Facebook Transparency efforts ahead of Country’s Parliamentary Polls. 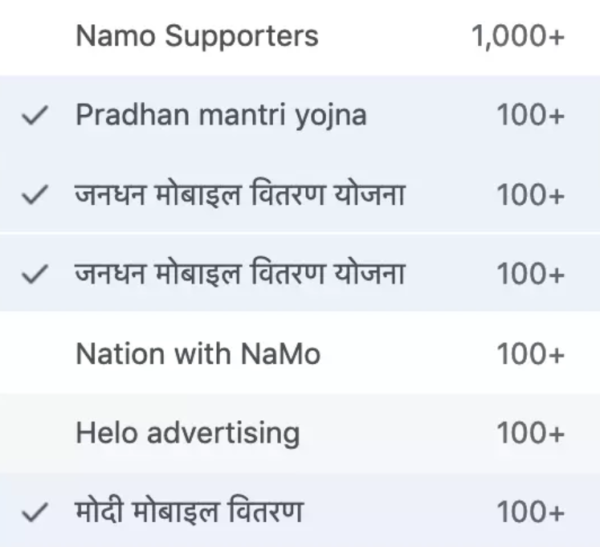 The pages listed in the library that has published ad’s by the name of Narendra Modi. The pages have published approximately 1200 advertisements. There were seven top listed pages in the name of Modi out of which four were scams and those pages are not active anymore. The post Facebook Advertisers Scams Poor People In The Name Of Narendra Modi appeared first on RVCJ Media. Could Samsung Internet actually be killing Chrome on mobile?